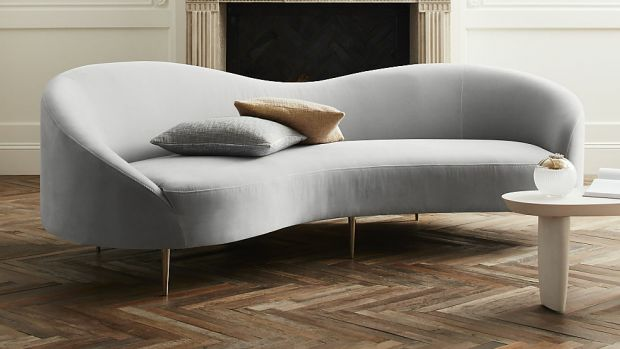 Gwyneth Paltrow’s lifestyle brand GOOP has waded deep into the homeware waters with the launch of its first furniture line, a collaboration with Crate & Barrel’s diffusion line, CB2. The line – everything from lounge and dining room sets, to crockery and glassware – appears perfectly suited to GOOP’s demographic: extremely rich ladies with access to excellent stain removers. That is, of course, provided that their “space” has room for a small laundry basket with a recommended retail price of $400. There’s also a $350 floor pillow (which is a totally different beast to an ordinary bed pillow, and anyone who disagrees should be jailed). And for those who enjoy watching the servants work, there is a gorgeous leather tote for firewood, replete with large handles to carry it to and from the woodpile – all for the bargain price of $737. But the cherry, or rather – the activated almond – on the flourless carrot cake would be the mid-century style lounge, which comes in light grey and pale pink, and is obviously suited to any couple with small children who are not yet toilet-trained. No, seriously, Paltrow’s aim was to appeal to people with kids. 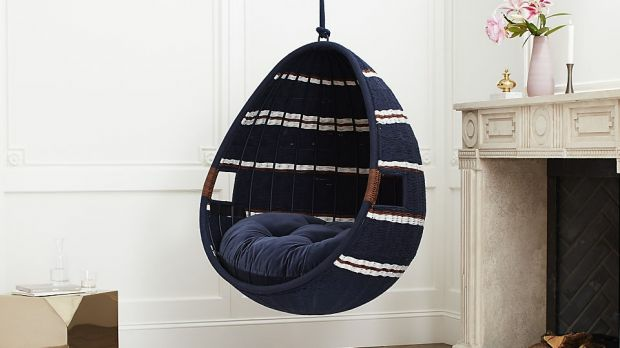 “…We designed a collection that (we believe) meets the needs of modern families.” Well, there is an indoor swing chair in there, going for just under $2000. It’s the perfect place for your little princess to hide when she returns home from transcendental meditation camp. However, there are a few pieces in the collection with kinder price points. That plush lounge has a price tag of just under $3000. The glassware, too, is well priced, with white wine stems coming in at under $20. The crockery – which features a quaint bird motif – wouldn’t look out of place in David Jones. It’s almost obscenely tasteful, with a colour pallet that ranges from white all the way to snow, with pops of cream in between. Paltrow believes it is “an eclectic mix” and hopes people will pick and choose the pieces they want, which might explain what a white peacock is doing, sitting on the edge of a credenza. But in the end, no-one will know for sure that you got it from GOOP, which might defeat the purpose. 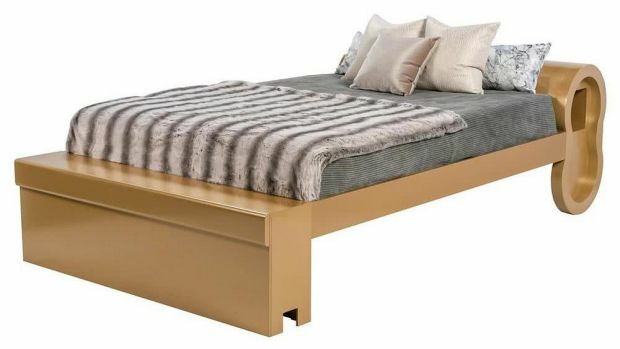 So if you’re after something that screams, “I spent way too much on this and I have zero regrets”, you might be interested to learn that DJ Khaled, American music producer and radio personality, has also launched his own luxury furniture line. Based on items in his own home, and called, somewhat unsurprisingly, “We the Best Home”, the collection features a lot of gold and will be sold through a Miami store before going national. Of course, in his own home Khaled has a throne prominently on display, so his top priority was another, in red and black velvet, standing at 194 centimetres, complete with lion insignia, for just over $4000. Khaled calls it a “must-have”. The royal theme continues throughout, with an end-table made of glass, and held up by a gold lion ($600) a gold tub chair ($2000), and a gold and bronze stool, replete with etched lion heads (a relative bargain at $300 each). For contrast, he has included some black leather here and there on the furniture. The rugs, walls, and other finishings are all red velvet. It’s as if an Egyptian pharaoh travelled through time, consulted with Donatella Versace, stopped by a yum cha restaurant and promptly vomited everywhere.